Application is open for one PhD Student at the NeuroRehabLab of the Madeira Interactive Technologies Institute (M-ITI) in scientific areas: Computer Science, Human-Computer Interaction. The ideal candidate would be a computer scientist, electric, electronic or telecommunications engineer or a closely related discipline with the background in one or more of the following fields: Game development, Human-Computer Interaction, Signal processing. Experience in ICT for health, physiological sensors, Unity 3D and/or full body tracking technologies will be a plus. Course Level:Scholarship is available to pursue PhD programs. Study Subject: Scholarship is available in Computer Science, Human-Computer Interaction. 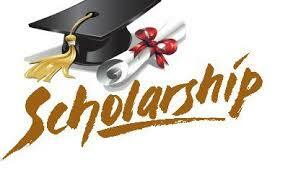 Scholarship Award: The student will receive a stipend of 980€/month as determined by the FCT regulations. Nationality: Scholarship is available for the citizens of Portugal. Eligible Countries:Scholarship is available for the citizens of Portugal. 3. Willingness to participate and lead End—User evaluations with healthy, elderly and patients. Applications and queries must be submitted by email to hr-at-m-iti.org with the reference “MITIExcell-RH28″.